Want to play on the world’s largest flat-top mountain? 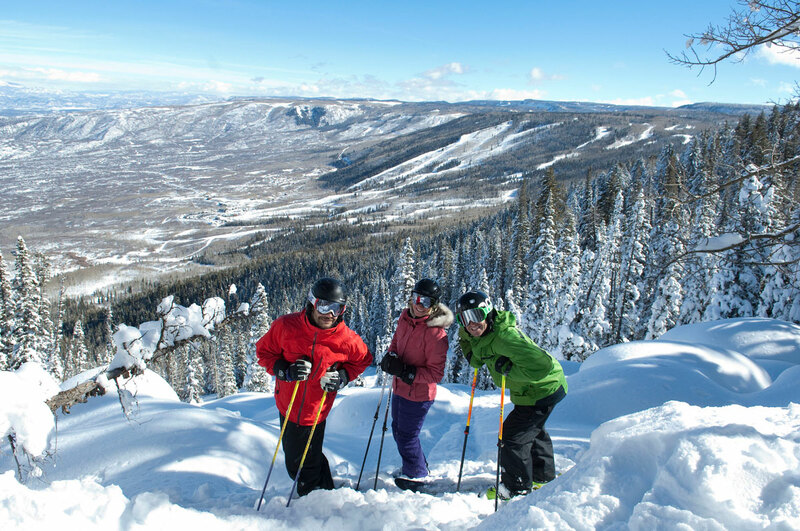 Add Powderhorn Mountain Resort to your bucket list. Powderhorn offers a bounty of outdoor activities in every season, including skiing and boarding in the winter and hiking and biking in the summer, so consider it your year-round outdoor playground. Plus, the ski area is just 45 minutes from Grand Junction, where you’ll find affordable hotels and Grand Junction Regional Airport, the state’s fourth-busiest airport. When the snow melts, mountain-biking season is in full swing. Powderhorn Bike Park allows riders to take their bikes up the new high-speed quad for some serious downhill fun. 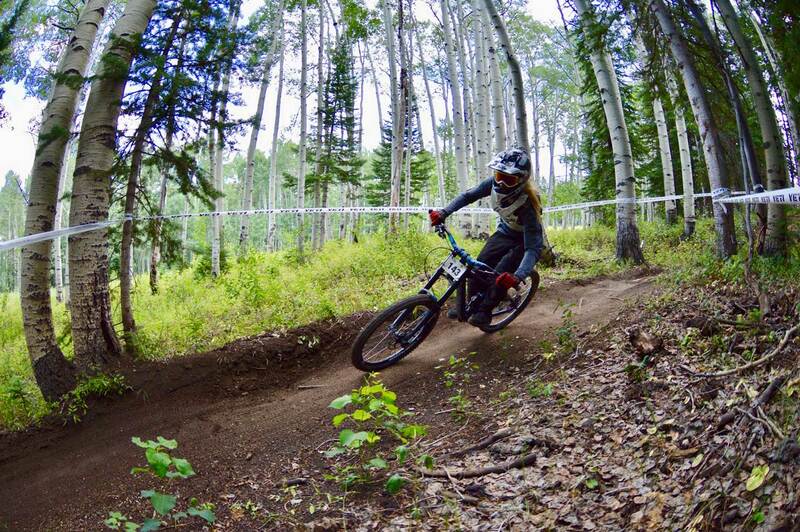 Trails boast a series of sweeping switchbacks, blissful banked turns and fast-moving straightaways. The Mutton Buster Trail is ideal for those new to downhilling and can be ridden by nearly anyone old enough to squeeze the hand brakes. But just because it’s a primo trail for learning doesn’t mean it’s not a blast to ride — with tons of options for jumps, bumps and drops along the way. If you’re looking for a challenge, Pinball is a technical run with steep rocky sections that will put your suspension to the test. Hiking and uphill biking access is available for free. The Stagecoach Trail winds its way up the mountain, where it meets the Flat Top Flyer lift at the summit. The route requires some serious pedaling, but the effort makes the descent even sweeter. Check in at the Powderhorn Rental Shop to get your free uphill access ticket. 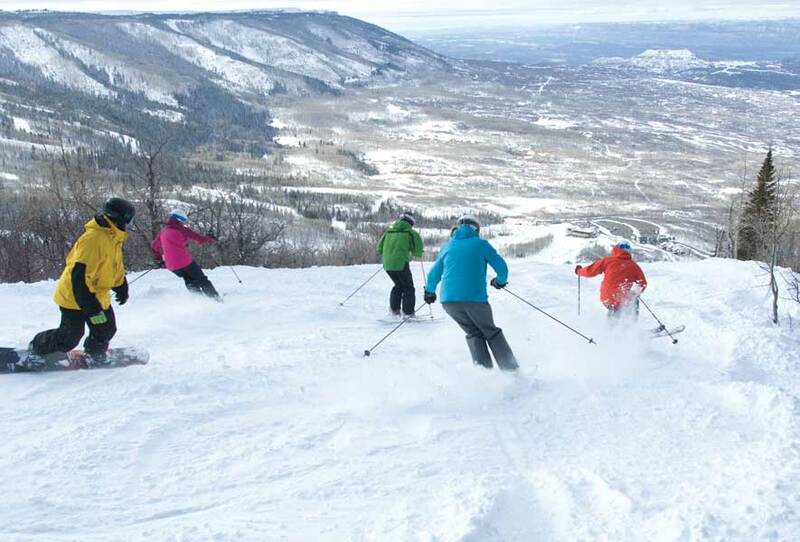 Powderhorn Resort is known for its plentiful powder, affordable lift tickets and lack of lift lines. With 1,600 skiable acres, 250 inches of average snowfall, four lifts — including a high-speed quad — and the best tree skiing in the Rocky Mountains, it’s a hidden gem on Colorado’s Western Slope. The resort has the perfect balance of trail difficultly: 20 percent beginner, 50 percent intermediate and 30 percent advanced. And the mountain also offers uphill ski access at no cost for those who are determined to earn their turns. Plus, a lift ticket at Powderhorn costs about 65 percent less than nearby Vail — only $71 for adults. For those looking to improve your skills on the slopes or learn how to ski or snowboard? Powderhorn has a great ski school. Children as young as 3 can take lessons, which is a nice way for them to develop their ski legs while you get a few runs in. The rental shop will make sure you and your little ones have all the gear needed for a comfortable and happy day on the mountain. The resort is also surrounded by 10 miles of cross-country skiing and snowshoeing trails. From the base of the mountain, you can skin up through the forest to the top of the resort and walk across upper rim, which offers a different perspective of the Grand Mesa’s flat top, before making your way down to the other side. When you get hungry, there are two restaurants to choose from: The Powderhorn Pub serves up hot pizza and sandwiches and has a full bar, while the Sunset Grill offers burgers, wraps, soups and grab-and-go options. Colorado’s more than 20 Nordic centers are a sure way to get on the snow quickly and start discovering the state’s winter wonderland.